Two DP70 probably installed for "Porgy and Bess" 06.08.1959. 1384 seats. Demolished circa 1980 with both DP70s inside. One DP70 removed to Loews Liberty Tree Mall 20. 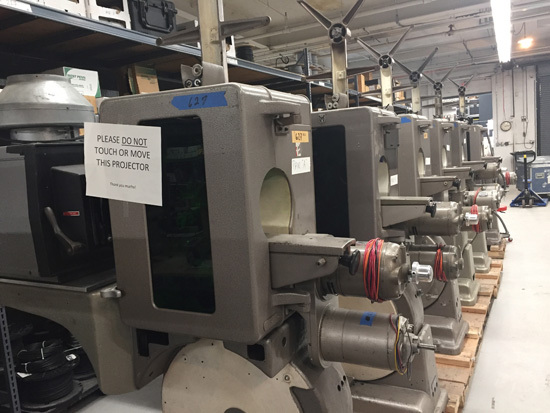 One DP70 from Loews Cheri in storage. Ready to run "The Hateful Eight" 25. December 2015. Prepared by Michael Schaffer. One DP70 (806) sold to James Bond, Chicago. Boston's Mayflower Theatre never had 70mm or Scope of any type. Closed and a dump. Five DP70. (6XX 1013 no plans). 601 1019 and 611 1010 removed from Egyptian, Hollywood. no plans. 694 1120 and 695 1119 removed from Cinema 57 #1 circa 1996. no plans. 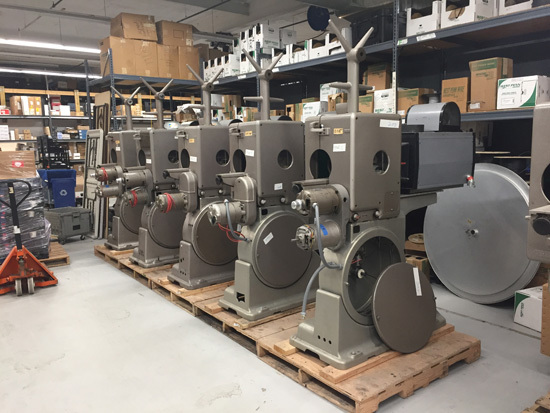 Here are some DP-70s we are working on. They are 3 changeover pairs for a particular theatre. Two DP70. Former Metropolitan Theatre, mostly performing arts since early 1980s restoration. 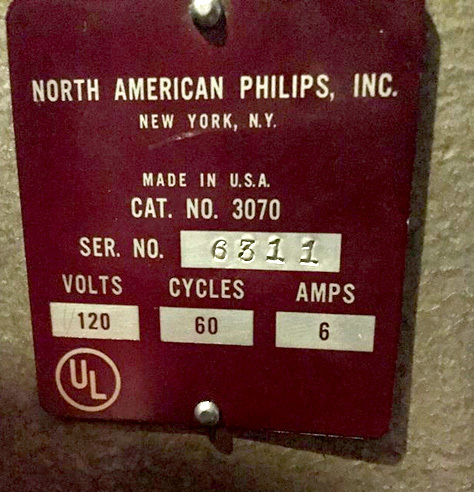 DP70s (donated by National Amusements) installed several years ago (by BL&S). Ran "Oklahoma!" 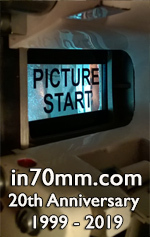 in 70mm/30fps Todd-AO in spring 1998. Two DP70 removed to BL&S 2009. These 2 may go to Eastman House in Rochester, NY. Two DP70. Only one may be there now after the theatre was cut into 7 houses. One DP70 (625) AO base No. 1035. Its companion machine was removed about ten years ago (1991) when they started platter operation; location unknown. Two DP70 installation in mid sixties. One machine left. Theatre converted from original 2 screens to 6. Two DP70 (1421+1423) with base no 59-189+59-191. From Robert A. Harris’ screening room in Bedford Hills, NY in 2009. Installed in 2009 by BL&S. Platter and c/o operation. One DP70. Power house installation included a very large curved screen and an Erneman 65mm projector. When the DP70 was ready, it was installed. One DP70. 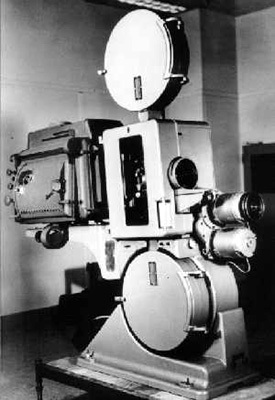 In the Research Building a ½-scale model of a Todd-AO cinema was built. 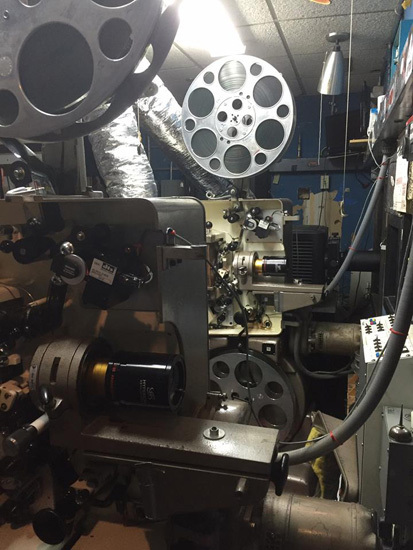 This machine and a complete distortion corrected 70mm print of "Oklahoma!" 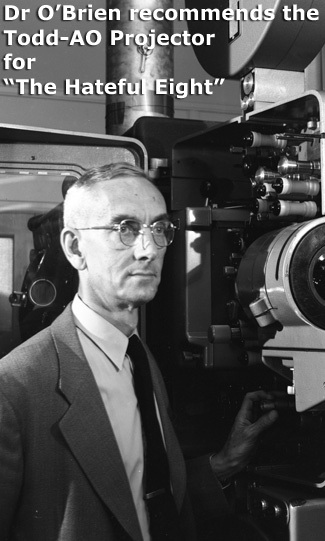 was sent to Kodak in Rochester to their museum in the Eastman Kodak Building in 1957/8. Rumoured to have been lost in a fire. Two DP70. (803+873). Donated to the university by National Amusements in early 1990s. Current facility is Perreault Lecture Hall, which seats 386 students before a single screen.